Every household has one or two bills to pay that are usually on a monthly basis. 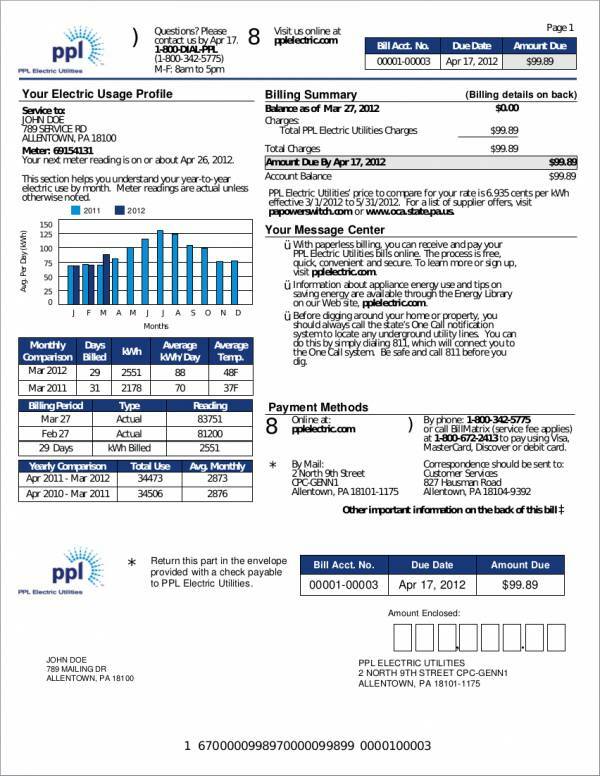 This could either be their electricity bills or water bills. This is quite normal as these things are considered a necessity nowadays and would hinder the full functioning of a lot of households. You may also like financial statement samples. Credit card holders also have bills to pay and almost all people use credit cards, instead of always bringing cash with them. 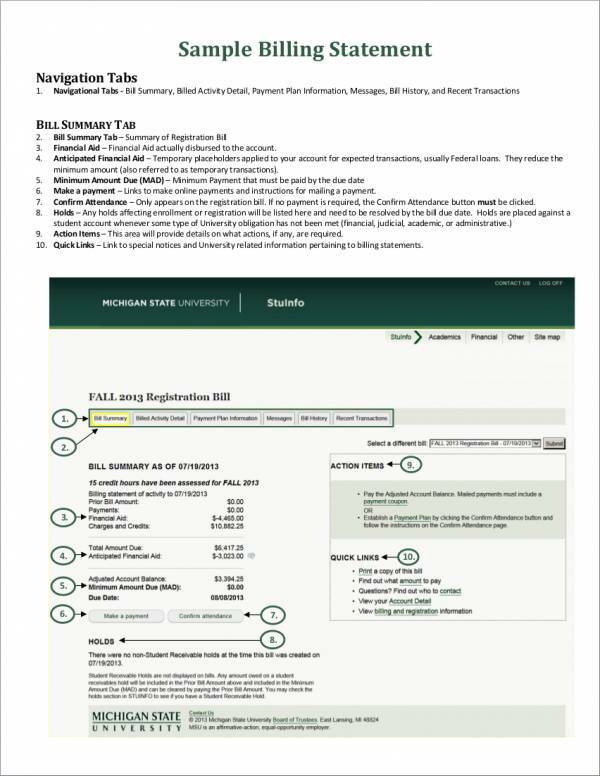 This article will supply you with the needed sample statements that you need to know more about billing statements. 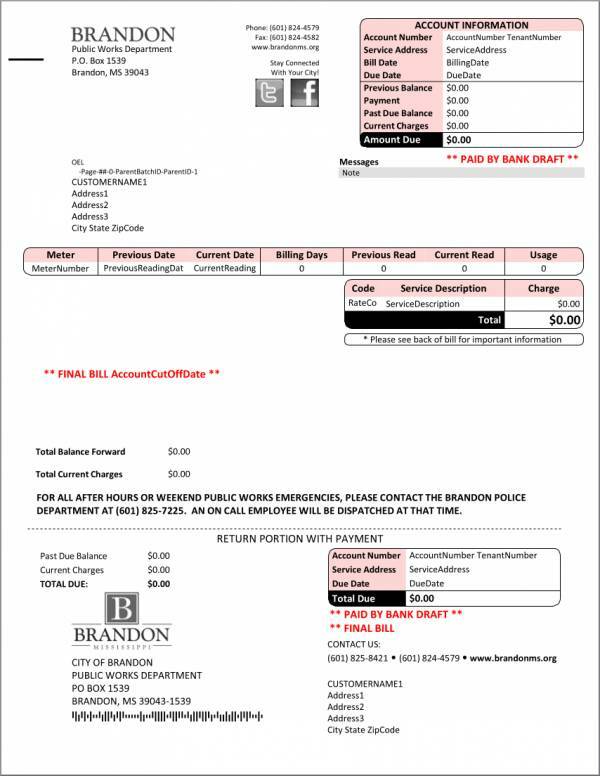 These billing samples are guaranteed to aid you while you learn about the basic facts about billing. 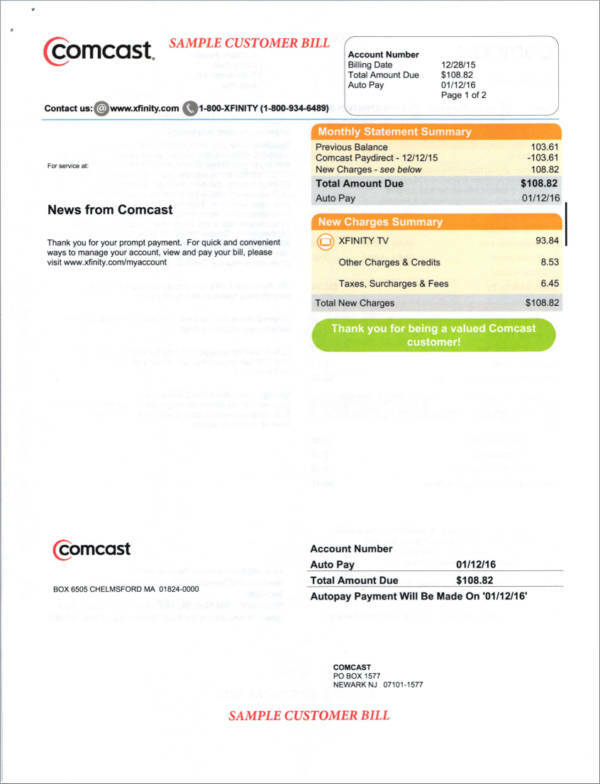 A billing statement is a report that is periodically sent by credit card companies, electricity and water companies, cable service providers, Internet service providers, telephone service providers, and other existing postpaid service providers. The periodic business reports contain details, like what services are being used and paid for by the customer or subscriber, a record of their previous and current transactions, the balance due, and other information that is important for the specific service. 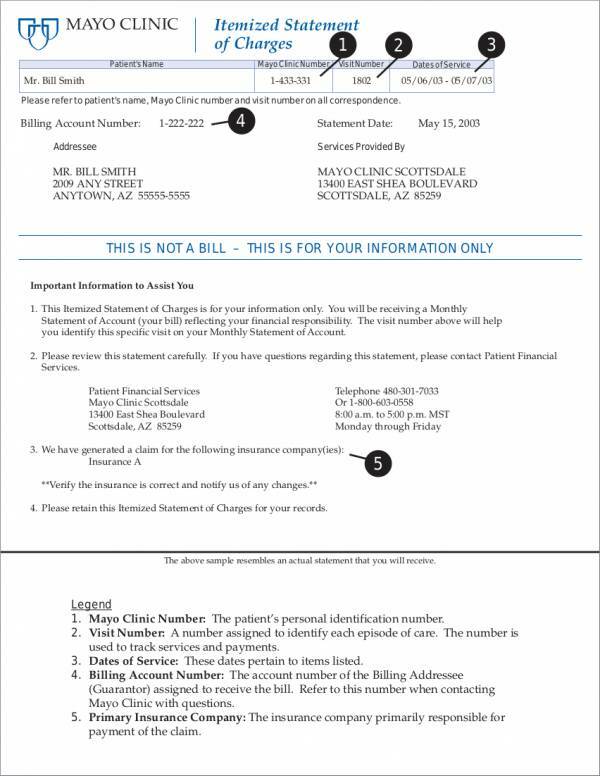 Billing statements are usually sent on a monthly basis, but quarterly, biannually, and annual basis are also available depending on the preference of the customer and depending on the available options provided by the company. Customers or subscribers will usually be issued the billing statement after each billing cycle. 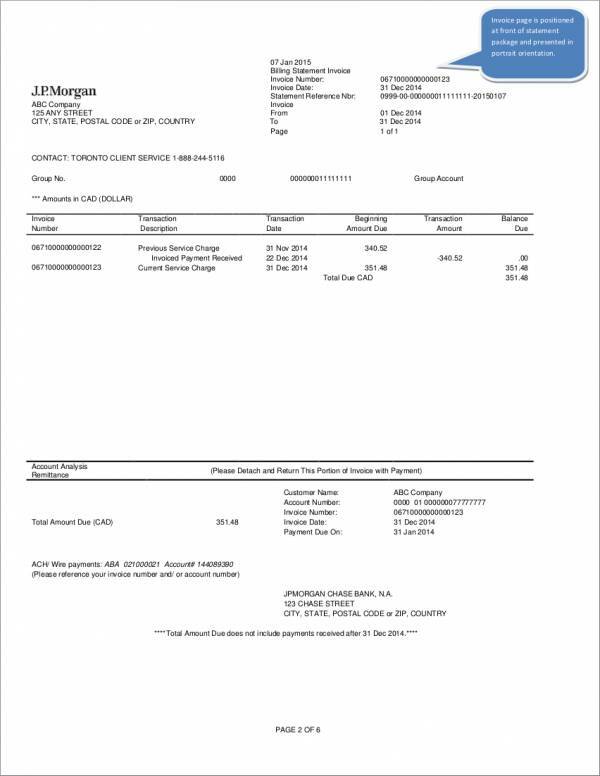 Different companies have their own billing statement format and their logos are also included in the billing statement that they send their customers. Billing statements are also much like income statements in a way that they get generated after each cycle or pay cutoff. Customers only need to pay for the services that they have used and for how long they have used it. Employees only get paid for the number of days that they show up at work and the appropriate salary bracket for their profession or skills. What Is the Difference between Current Balance and Statement Balance? 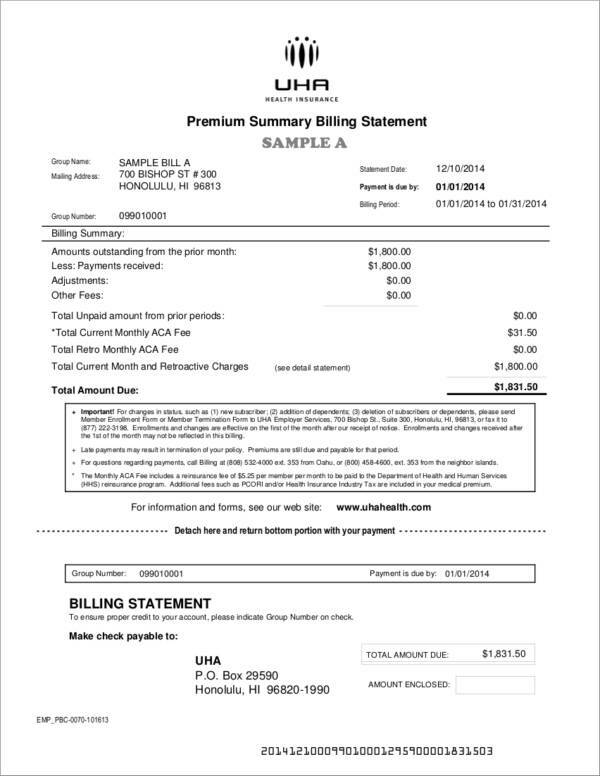 Billing involves a lot of numbers, computations, and money. In billing, there is what we call current balance and income statement balance. At first, you might think that your current balance is the same as the statement balance once you get your billing statement. Statement balance and current balance are actually two different things and one should not be mistaken for the other. You may also like diversity statement samples. A statement balance is the amount that will be stated on your bill and the amount that you owe or will have to pay to your credit card company or postpaid service provider. If you fail to have this amount paid by the due date provided by your credit card company, you may incur interests or in case of postpaid services, late fee charges. The statement balance that you have for that billing cycle will be the same until such time that you receive another billing statement for the next billing cycle or next billing period. Your current balance, on the other hand, keeps on changing or increasing day by day. Your daily purchases to your credit card is the main reason for the increase in your current balance and the payments you will make will keep it low. Your current balance changes from time to time and is largely dependent on your spending and paying style. In other words, your statement balance will stay the same every billing cycle but your current balance may be bigger than your statement balance. 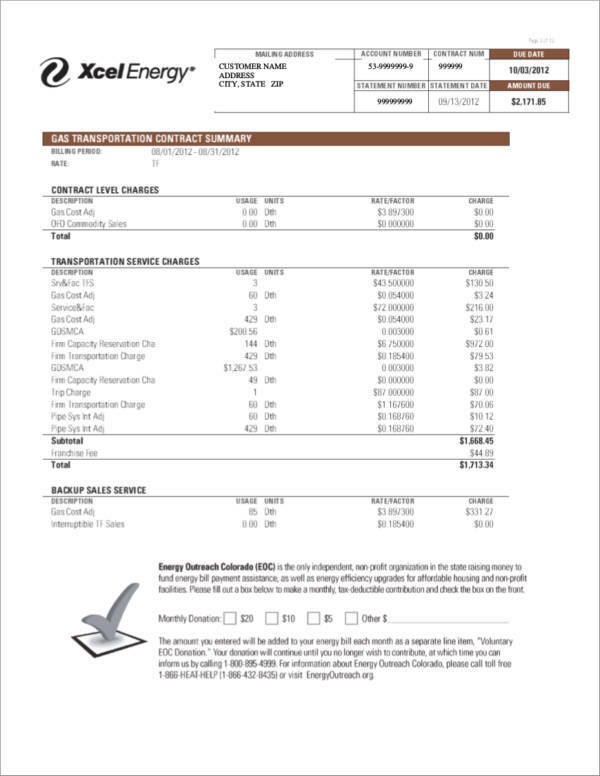 You can also like cash flow statement samples. This is because of the purchases and payments that you have made with your credit card. Every time you make a purchase, the total amount of money that you owe increases, and every time you make a payment, it lowers the amount of money you owe. By the time you get your next billing statement, the amount of money you owe does not exceed that of your statement balance. To see more statement samples and templates, you can check out our website. 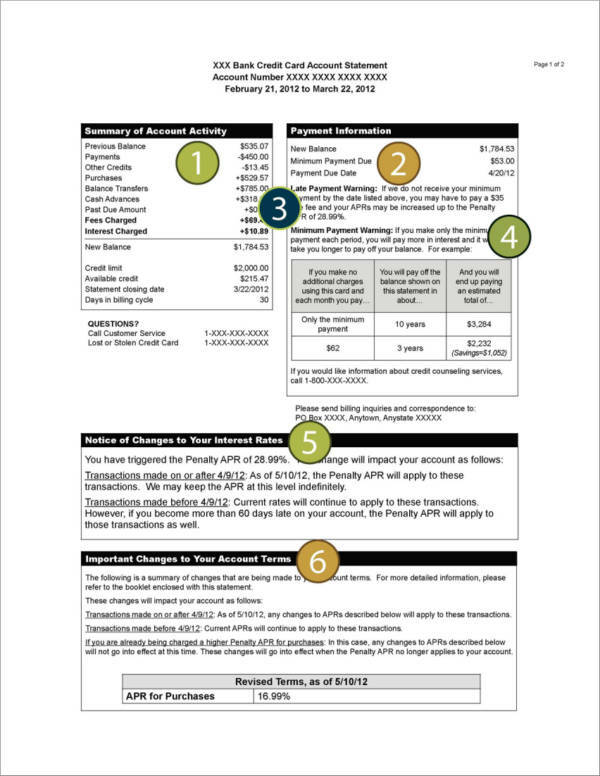 What Information Do You Need to Check in a Billing Statement? If you’re not familiar with a billing statement or if you don’t have any idea about what it is and what it contains, then you will definitely find yourself confused. There are a number of things that can be found in a billing statement. Some of them are basic information and some of them are things that we don’t always encounter on a daily basis or those that can only be found in a billing statement. Below is a list of those things and a brief description of what it is for. Your previous balance – The previous balance would refer to the unpaid balance or remaining balance that you have not paid from your previous bill. It is usually added to your current balance and the total is the amount that you need to pay. You can also like business statement samples. The payment due date – This is the date when your service provider or credit card company will allow you to pay your balance without incurring any late fees or charges or any interest. The minimum payment due – In credit card billing statements, this is the amount that you will need to cover in case you can’t pay the full amount that you have used in our credit card for a certain cutoff. Late fees – The amount that you will be paying for a late fee depends on your credit card company or postpaid service provider. After the due date, the account becomes past due and it will be charged a late fee starting from $5 and up. It could be on a daily basis, weekly, or monthly after the account becomes past due. Account summary – It is the detailed list of payments made by the account holder or customer and the credits from their purchases. In credit cards, it includes the interest, cash advances, and other transactions made on your credit card. You can also like safety statement samples. The service – This refers to the name and the type of service you have subscribed to. It also includes details on how frequently you are billed for it, your preferred mode of payment and the total amount including the taxes and fees that you need to pay. You can also like sworn statement samples. Your credit limit and available credit – This can only be seen in credit cards. Your credit limit refers to the maximum amount that you can use in your credit card. Your available credit is the remaining amount that you can use on your credit card, or the difference between your credit limit amount minus the amount that you have used from your credit card. 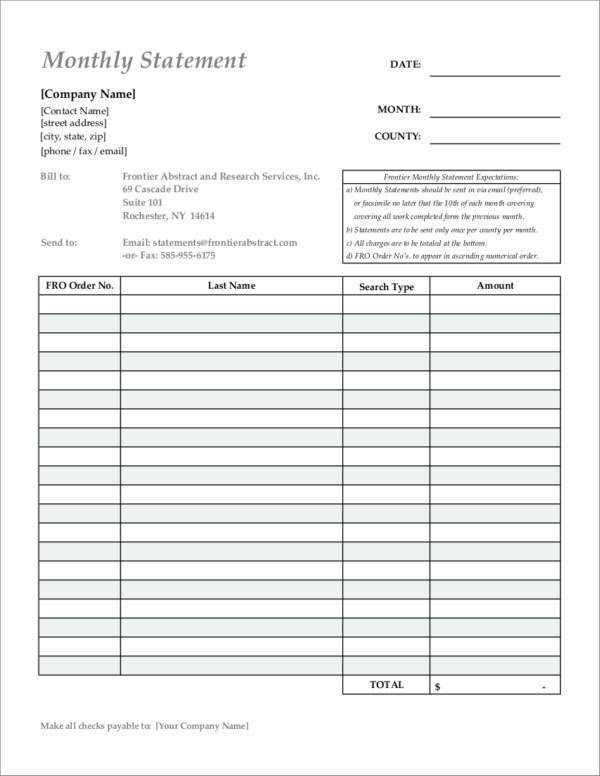 You can also like expense statement samples. Billing period ad billing cycle – This includes how many number of days your billing cycle is, and when it starts and ends. Contact information of your credit card company or postpaid service provider. That would be their name, address, telephone number, fax number, and email address. 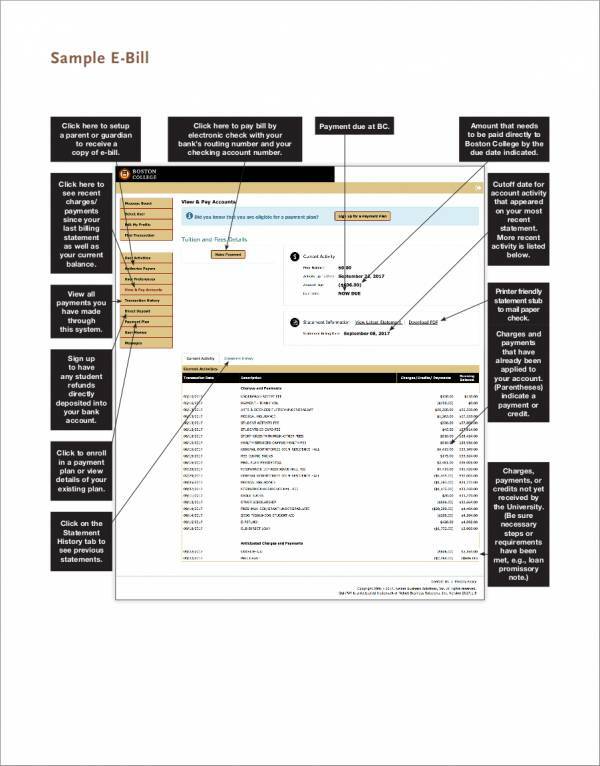 If you know these things, you will find it easy to understand a billing statement. 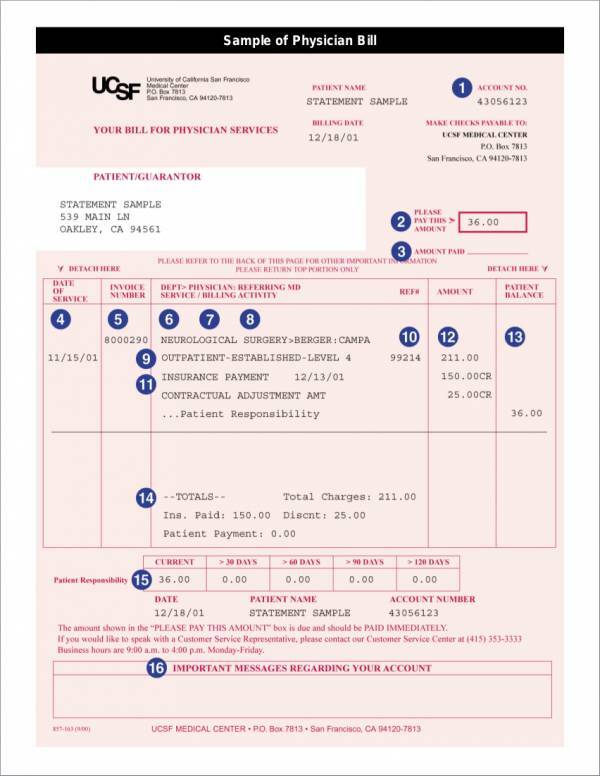 We have other billing statement samples that you might be interested in, like sample billing invoice. You can check them out on our website.